"He is very professional, nice, welcoming, informative!" "Everything you could ever want in a doctor!!!" "Great Eye Doc. Great experience." "They are kind, efficient and care about their patients..."
"She is wonderful and takes very good care of our eye needs." "When I needed cataract surgery, I went to Dr. Ford and I think he is the best." "...every staff member that I have dealt with, has been very good and professional." "Dr. Michael Blair was my surgeon, and I couldn't be more pleased than I am, with him." "I had absolutely no pain, no anxiety and no regrets...you can't beat Ford Eye Center!" "Everyone at the Ford Center is attentive, polite, courteous and professional." "Dr. Ford did a fantastic job with my cataract surgery." 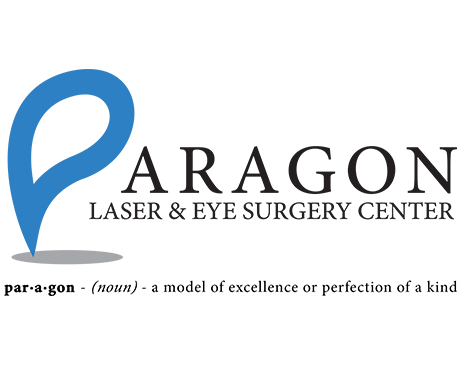 Paragon Eye Associates previously known as: Ford Eye Center, with two convenient locations in Arlington and Mansfield, Texas, is a private practice where ophthalmologists and optometrists provide a full range of services from comprehensive vision exams to complex cataract surgeries. Our physicians, with the support of an accomplished staff, have been, and continue to be, outstanding in the field of eye care, consistently recognized and honored as among the most skilled ophthalmic surgeons and optometrists in the nation. It is for this reason, Paragon Eye Associates is considered to be one of the finest eye care practices. Dr. Ford and Dr. Blair are both board-certified by the American Academy of Ophthalmology and Dr. Baker, Dr. Fontenot and Dr. Welding are board-certified by the American Academy of Optometry. Our goal is to provide first-class care, utilizing the most advanced technology while maintaining a warm and sincere dedication to our patients. The result of our seamless and specialized team approach is clearly reflected in our patient’s excellent outcomes. Choose Paragon Eye Associates for blade-free cataract surgery, LASIK surgery, Lifestyle Lens Implants, and management of even the most complex eye conditions. The expert staff aims to meet and exceed patient expectations while preserving what is arguably the most valued sense: vision. Our state-of-the-art offices in Arlington and Mansfield are accepting new patients and most major forms of insurance. We want you to have excellent vision, and thanks to medical financing options, affording vision correction surgery is no longer a problem. We’re pleased to offer CareCredit financing plans. CareCredit lets you schedule your procedure immediately – and pay for it over time with low monthly payments that easily fit into your budget. Now you don’t have to save up for years to finally get the vision you’ve always wanted. We’ll help you see clearer, sooner. At Ford Eye Center, our goal is patient satisfaction. We strive to make every service achievable and affordable for all patients. For more information about our insurance policies or payment methods, please call our office. Insurances that need referrals include UHC Health Select, Silberback (NTSP)(AARP MED), HealthSpring, Humana (NTSP), BCBS HMO, and Aetna Medicare Prime HMO (Dr. Ford only). New to contact lenses? Here are some tips that will make the transition as easy as possible! Diabetes can pose lots of health risks, including vision loss. If you have diabetes, having routine eye exams is an important part of preventing blindness. Here's what you should know about diabetic eye disease and its treatment. LASIK has literally changed the way millions of people see, helping men and women enjoy clear vision without relying on glasses or contacts. Still, LASIK isn't a good choice for everyone. Here's how to tell if LASIK is right for you. "The doctor took his time to explain the different options to us and what he recommended would be best. Thank you for taking such great care of my grandmother..."
"I can not say enough about this eye center. Top-notch staff and very professional.Dr. Michael Blair,M.D. Is the BEST!!!" "AWESOME place! Clean, neatly organized, and the staff is out of this world. I've been a patient for 15 years!" "Everyone at Ford Eye Center Mansfield has been absolutely amazing! This service is top notch!" "What a great experience! Despite being very busy and booked solid, the staff and doctors worked together to fit me in with a painful eye condition..."
"Cheers to Dr. Blair at Ford Eye Center for removing my cataracts and placing lenses that have taken me from going blind at night to 20/20 vision in both eyes."